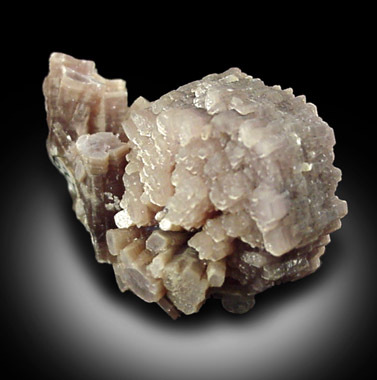 Hexagonal crystal of lepidolite 18 mm across composed of many smaller parallel 2-4 mm lepidolite crystals. Color is pale pink-purple. Complete and undamaged. Ex. A. Stevenson collection #829. Overall size of mineral specimen: 27x20x16 mm. Size of individual crystals: 2-18 mm.